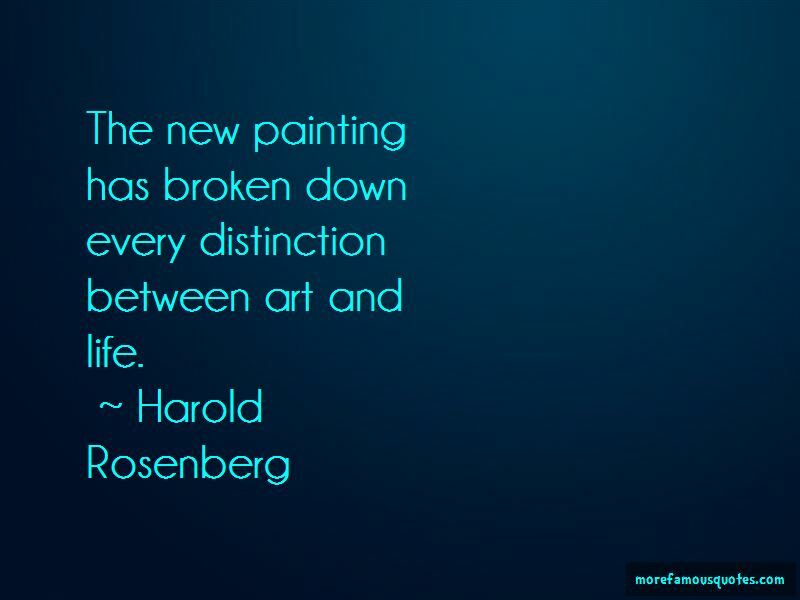 Enjoy the top 50 famous quotes, sayings and quotations by Harold Rosenberg. Art has arrived at the paradox that tradition itself requires the occurrence of radical attacks on tradition. 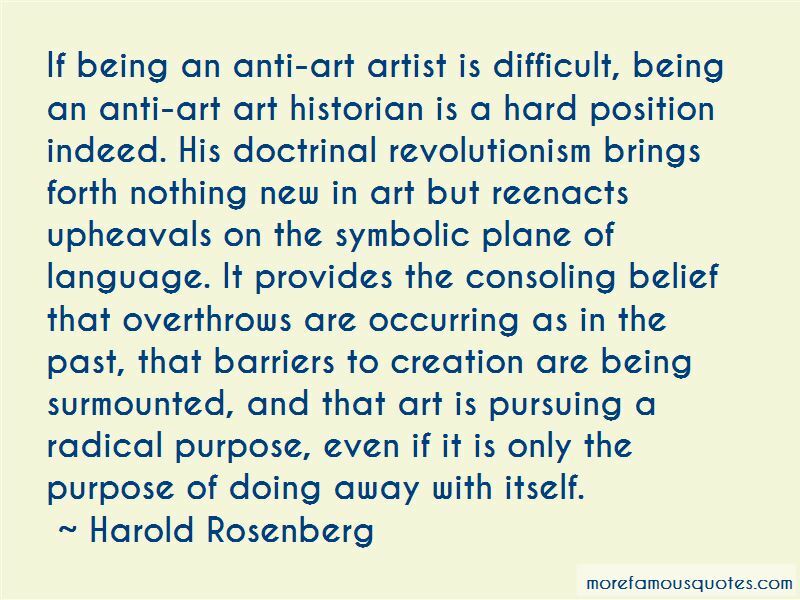 A painting that is an act is inseparable from the biography of the artist. Avant-gardism is an addiction that can be appeased only by a revolution in permanence. Kitsch is the daily art of our time, as the vase or the hymn was for earlier generations. For the sensibility it has that arbitrariness and importance which works take on when they are no longer noticeable elements of the environment. In America kitsch is Nature. The Rocky Mountains have resembled fake art for a century. In the United States, revolts tends to be directed against specific situations, rarely against the social structure as a whole. 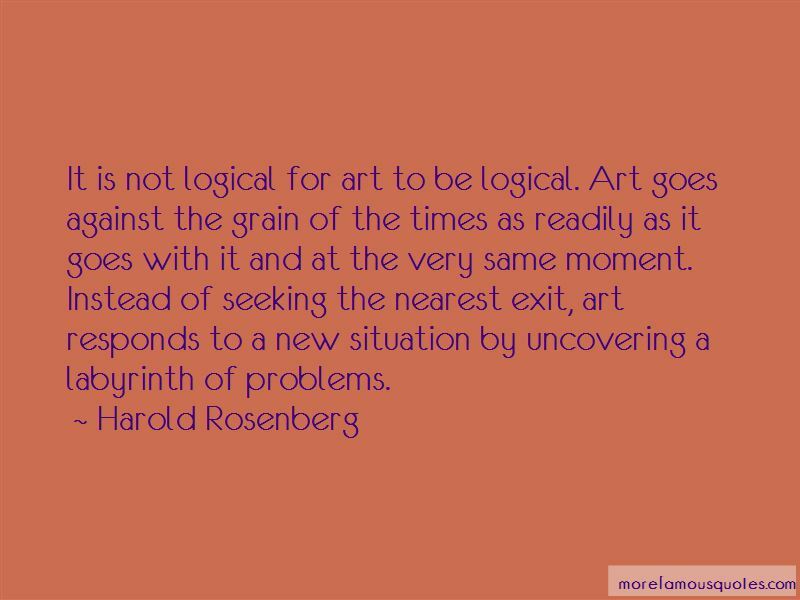 Want to see more pictures of Harold Rosenberg quotes? 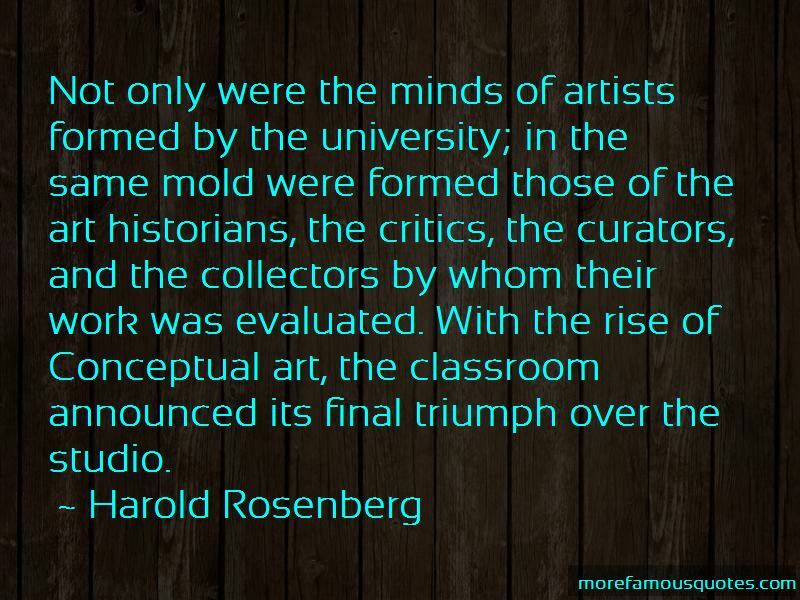 Click on image of Harold Rosenberg quotes to view full size.